Find pages in your Bookmarks or History just by typing words you remember from them! HistoryHound lets you do a fast keyword search on the entire content of all web pages and RSS feeds you've visited recently, plus all those that you've bookmarked. It's a "personal web search." Just type in a few keywords and HistoryHound gives you a list of pages you've viewed recently, ranked by relevance. Have you ever tried to find something in your browser history or bookmarks, but couldn't quite remember when or where you saw it, or which browser you were using at the time? Or perhaps you've got your bookmarks meticulously organized, but it takes forever to mouse through the menus to get to something you want? HistoryHound will chase down the page for you - fast! 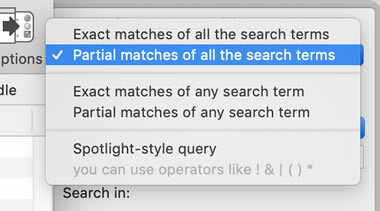 Powered by macOS' Spotlight search technology for fast searching, HistoryHound scans your browser's cache, history, and bookmarks periodically to keep its search index up to date. 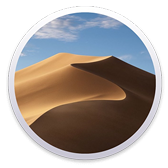 It also includes a built-in browser based on WebKit, the same engine that's inside Safari, so your search results are rendered quickly and accurately. A number of different options make HistoryHound convenient and fast to use, and the fully-functional demo runs for 30 days with no limitations. Pick your browser - or don't. 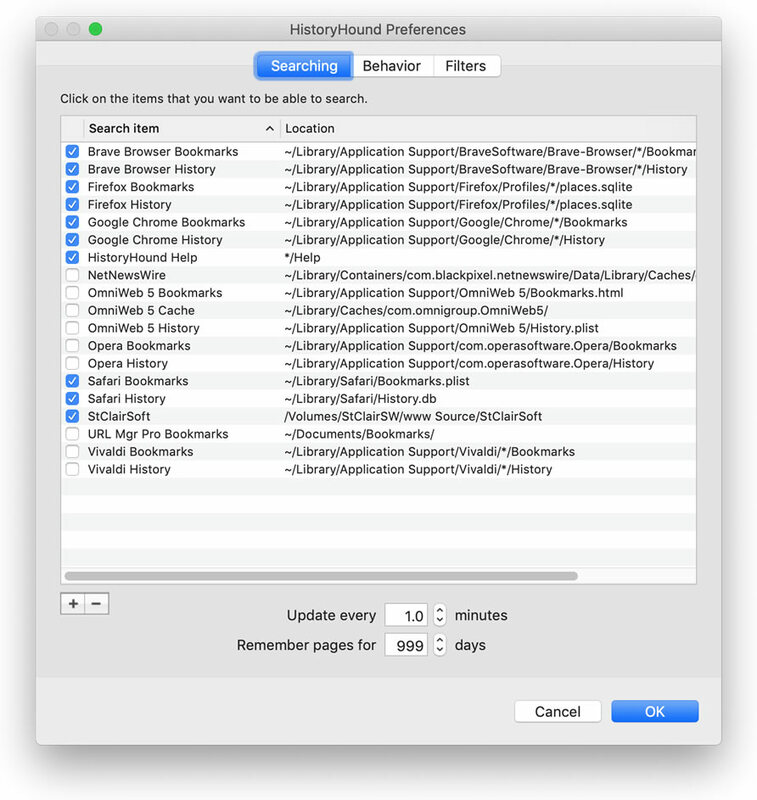 HistoryHound supports all of the major macOS web browsers, and if you use more than one browser, HistoryHound will search for pages you've visited in any of them. So use whatever you want - Safari, Firefox, Chrome, Brave, OmniWeb, Vivaldi, Opera or even the built-in browser in the NetNewsWire RSS reader - HistoryHound will track down the pages no matter where you saw them! Choose the full search window, or an unobtrusive search palette. If you don't need fancy previews or sorting by name and by relevance, use HistoryHound's search palette instead. You can use it as a normal window, configure it to float above everything else, or to hide itself when HistoryHound is in the background. 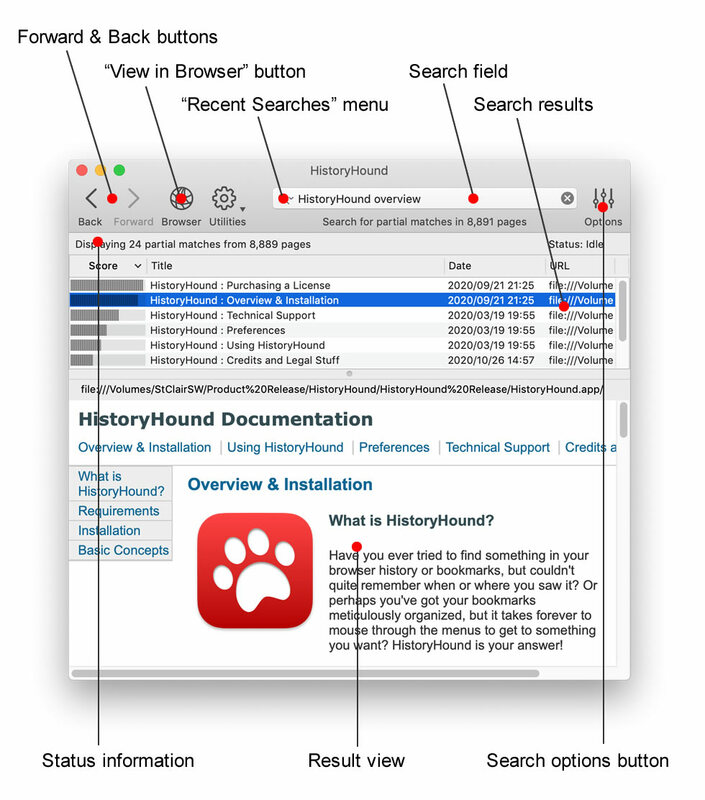 Assign a hot key to quickly call HistoryHound into action. It's almost as easy as shouting "Go get it boy!" A quick press of command-option-space (or any other key combination you choose) brings HistoryHound to the front and selects the search field. You just type and it finds what you're looking for. Pick a search method that works for you. Search for any or all of your search terms, use a boolean search, or take advantage of the include/exclude notation to quickly find what you want. Follow your tracks for as long as you want. You can tell HistoryHound to keep as many days of your web browsing history as you like. Even when your browser has long forgotten where you've been, HistoryHound will remember. Like all good programs, this makes one think 'Why did no-one think about that before?'. The last time I saw a Mac app/utility that got me this excited was when Watson was released. I also would like to commend you on your ability to create thoroughly unique applications. You have never approached application development with a "me, too" attitude. If this app turns out to be anywhere as good as Default Folder (have been using it for years), you've got a real winner.